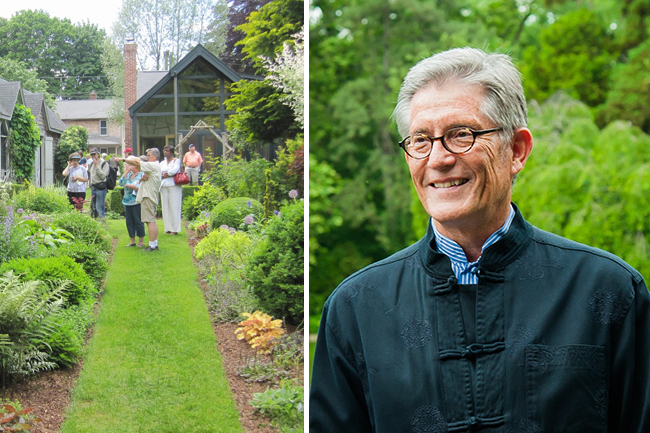 Join plant collector, gardener, and architect Fred Bland for a walk through his garden, where he works to weave his ever-growing collection of choice plants into a beautiful, engaging design. In the spirit of a true salon, Fred will then gather guests with some refreshments for a leisurely and hopefully lively discussion of ideas about gardens and what drives us to make them. On that topic, Fred has written a short book, The Making of a Garden(er): An Urbanist Architect in the Garden. To fuel the afternoon’s conversation, he hopes guests will read his booklet beforehand and come with ideas of their own. It is available on his firm’s website, Beyer Blinder Belle, and a link is provided below. Fred Bland is an architect, the managing partner at Beyer Blinder Belle in New York. He is a Commissioner on the New York City Landmarks Preservation Commission and a Trustee of the Brooklyn Botanic Garden, where, until very recently, he was Board Chair. 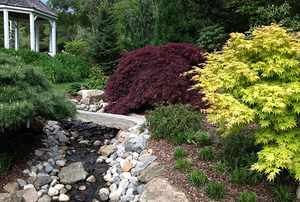 Fred self-nominated his garden for Open Days and as a result, visitors have been enjoying Uptop in Stony Creek, Connecticut since 2014. Uptop will be open to general Open Days visitors on this date from 10 a.m. to 4 p.m. Your registration includes Open Days admission to this garden destination—a $10 value.